Most of you, dear [German] readers, will have formed a preconception of what this article is about before you actually read it. I am imploring you not to succumb to such preconceptions.Prejudice was never a good guide, especially during periods when an economic crisis reinforces stereotypes and breeds biggotry, nationalism, even violence. In other words, Europe adopted the tactics of the least reputable bankers who refuse to acknowledge bad loans, preferring to grant new ones to the insolvent entity so as to pretend that the original loan is performing while extending the bankruptcy into the future. Nothing more than common sense was required to see that the application of the ‘extend and pretend’ tactic would lead my country to a tragic state. That instead of Greece’s stabilization, Europe was creating the circumstances for a self-reinforcing crisis that undermines the foundations of Europe itself. Indeed, even before a full year had gone by, from 2011 onwards, our predictions were confirmed. The combination of gigantic new loans and stringent government spending cuts that depressed incomes not only failed to rein the debt in but, also, punished the weakest of citizens turning people who had hitherto been living a measured, modest life into paupers and beggars, denying them above all else their dignity. The collapse of incomes pushed thousands of firms into bankruptcy boosting the oligopolistic power of surviving large firms. Thus, prices have been falling but more slowly than wages and salaries, pushing down overall demand for goods and services and crushing nominal incomes while debts continue their inexorable rise. In this setting, the deficit of hope accelerated uncontrollably and, before we knew it, the ‘serpent’s egg’ hatched – the result being neo-Nazis patrolling our neighbourhoods, spreading their message of hatred. Despite the evident failure of the ‘extend and pretend’ logic, it is still being implemented to this day. The second Greek ‘bailout’, enacted in the Spring of 2012, added another huge loan on the weakened shoulders of the Greek taxpayers, “haircut” our social security funds, and financed a ruthless new cleptocracy. Respected commentators have been referring of recent to Greece’s stabilization, even of signs of growth. Alas, ‘Greek-covery’ is but a mirage which we must put to rest as soon as possible. The recent modest rise of real GDP, to the tune of 0.7%, signals not the end of recession (as has been proclaimed) but, rather, its continuation. Think about it: The same official sources report, for the same quarter, an inflation rate of -1.80%, i.e. deflation. Which means that the 0.7% rise in real GDP was due to a negative growth rate of nominal GDP! In other words, all that happened is that prices declined faster than nominal national income. Not exactly a cause for proclaiming the end of six years of recession! Allow me to submit to you that this sorry attempt to recruit a new version of ‘Greek statistics’,in order to declare the ongoing Greek crisis over, is an insult to all Europeans who, at long last, deserve the truth about Greece and about Europe. So, let me be frank: Greece’s debt is currently unsustainable and will never be serviced, especially while Greece is being subjected to continuous fiscal waterboarding. The insistence in these dead-end policies, and in the denial of simple arithmetic, costs the German taxpayer dearly while, at once, condemning to a proud European nation to permanent indignity. What is even worse: In this manner, before long the Germans turn against the Greeks, the Greeks against the Germans and, unsurprisingly, the European Ideal suffers catastrophic losses. Germany, and in particular the hard-working German workers, have nothing to fear from a SYRIZA victory. The opposite holds. Our task is not to confront our partners. It is not to secure larger loans or, equivalently, the right to higher deficits. Our target is, rather, the country’s stabilization, balanced budgets and, of course, the end of the grand squeeze of the weaker Greek taxpayers in the context of a loan agreement that is simply unenforceable. We are committed to end ‘extend and pretend’ logic not against German citizens but with a view to the mutual advantages for all Europeans. Dear readers, I understand that, behind your ‘demand’ that our government fulfills all of its ‘contractual obligations’ hides the fear that, if you let us Greeks some breathing space, we shall return to our bad, old ways. I acknowledge this anxiety. 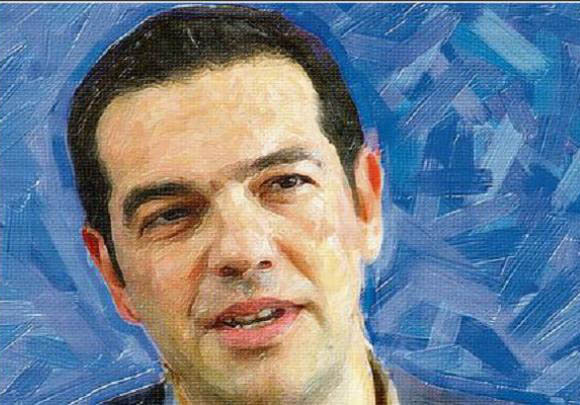 However, let me say that it was not SYRIZA that incubated the cleptocracy which today pretends to strive for ‘reforms’, as long as these ‘reforms’ do not affect their ill-gotten privileges. We are ready and willing to introduce major reforms for which we are now seeking a mandate to implement from the Greek electorate, naturally in collaboration with our European partners. A great opportunity for Europe is about to be born in Greece. An opportunity Europe can ill afford to miss.